The Dow Jones is at an all-time high, yet contributions to churches are trending at all-time lows. Have you been feeling the effects and pressures of lack of financial support to your ministry? I worked closely with five churches last year, helping them increase their attendance and financial numbers. Three churches had great success, breaking the 1,000 mark and all five saw an increase in financial contributions. Your church’s financial struggles may be linked to the congregation’s need to increase their wealth intelligence (WQ) for economic empowerment (Hosea 4:6). 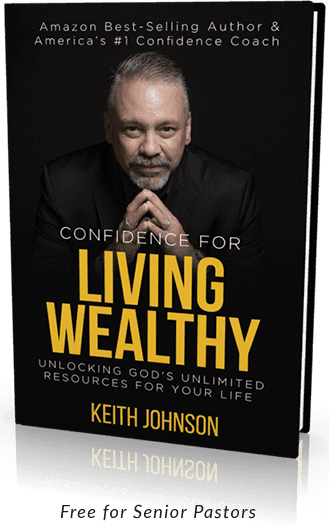 Throughout 2018, I’m devoted to helping pastors reverse the negative giving trend in their churches by inviting you to attend my Confidence for Living Wealthy Weekend Experience. Launching strategies using the abundance mentality taught by Jesus to produce resources and eliminate bad debt. Restoring confidence in the 10%-plus giving principles modeled by Solomon, Rockefeller, and other modern-day wealthy titans. Empowering couples to synergize together by giving them a clear pathway to accelerated wealth creation. This is not a “miracle money” message—it is a solid biblical, practical, and principle-based approach to true economic empowerment and sustainable financial growth for the local church. Also, this isn’t the typical boring “scarcity mentality” of making a budget, cutting your credit cards, and stop buying Cappuccinos at Starbucks kind of message. Rather, this is a fresh perspective on how God helped my wife and I eliminate $180,000 in credit card debt without going bankrupt (the accelerated way) by not doing everything the traditional Christian gurus are teaching (the slow boat to China way). At the end of the weekend, I would love to spend time with you to discuss a six-point strategy based on the successful outcomes for the five churches I coached last year. You can increase the number of “pockets” in your church, which give you greater possibilities for an increase of financial prosperity to fulfill God’s plan for the next ten years of your ministry. I look forward to partnering with you in 2018 for a great year of accelerated spiritual, numerical, and financial increase! © Confidence for Living Wealthy 2017. All Rights Reserved.